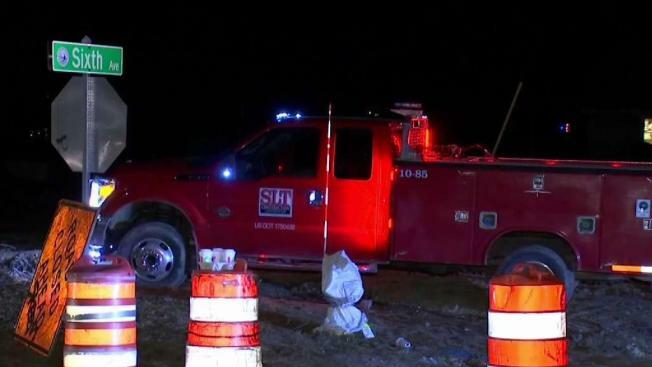 A construction accident killed a 61-year-old man. A 61-year-old man was killed in a construction accident in Scituate, Massachusetts on Friday afternoon. Scituate police said they responded at 1:30 p.m. to the area of 6th Avenue and Hatherly Road for a person who had been struck by a bulldozer. Upon arrival, they found the man dead. Police are no longer at the scene, but aerial footage from NBC10 Boston's Sky Ranger helicopter showed yellow police tape cordoning off a small area of a larger construction site. The site of the accident is part of a development called Seaside at Scituate, a project that neighbors say only began in the last couple of months. The accident remains under investigation by local police, Massachusetts State Police troopers assigned to the Plymouth District Attorney's Office and the Occupational Safety and Health Administration (OSHA). Representatives from OSHA were on the scene all afternoon. Their investigation could take up to six months. Toll Brothers is the company that is building the new luxury homes and SLT Construction in Carver is the local contractor involved in the Friday accident. A request for comment from both companies has not yet been answered. It’s unknown if construction on the project will be halted temporarily over the next few days with the investigation just getting underway. 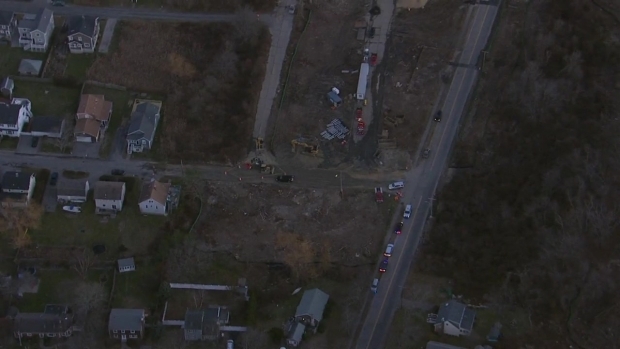 NBC10 Boston Sky Ranger over the scene of a construction accident in Scituate, Massachusetts that resulted in the death of a 61-year-old man. Representatives from OSHA were on the scene all afternoon. Their investigation could take up to six months. Toll Brothers is the company that is building the new luxury homes and SLT Construction in Carver is the local contractor involved in the Friday accident.